Within the context of a university or college, biodiversity can make the world of difference to the environment in which we teach, learn and work. There are the obvious health benefits and often psychological benefits. It may also be a determining factor in the retention of staff and recruitment for students. Biodiversity, meaning biological diversity, encompasses the variation of life on earth and in its simplest form, it is measured by the number and variety of species in an area. On a world scale the rate of loss is now recognised to be a cause for serious concern, requiring concerted international action to prevent continued loss of biodiversity. Biodiversity may appear an abstract term but it has an effect on us in many ways and on a variety of levels. Biodiversity can contribute to many aspects of human wellbeing, from providing us with raw materials to contributing to our health. 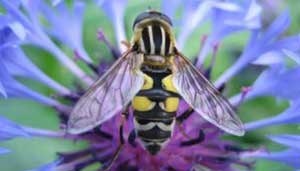 If you would like to learn more about managing biodiversity at your institution then why not view our Biodiversity Guide. This practical guide is supported by United Nations Environment Programme (UNEP) and the Global Universities Partnership on Environment and Sustainability (GUPES). If you would like to connect with other EAUC members interested in biodiversity, join the EAUC's Biodiversity Community of Practice. This group is for EAUC members only. Find out more.